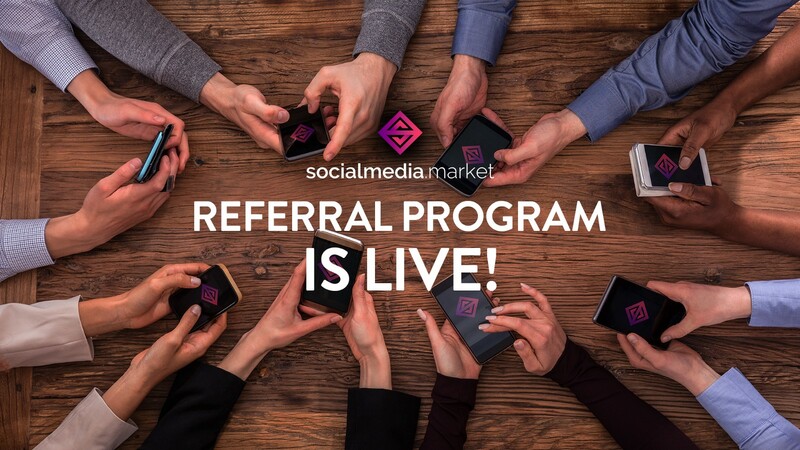 SocialMedia.Market starts a referral program! Now you can earn 5% in Social Media Tokens from every investment attracted via your referral link. So, how to join in? To become a part of our referral program you need to share your referral link with friends or followers. If any of them signs up with this link they will be added as your referral. You will get a 5% reward from all Social Media Tokens purchased by your referrals. Your referrals will also get a 3% bonus to the tokens they buy. Regardless of cryptocurrency used for investments into our platform, all bonuses for participants of referral program are delivered in Social Media Tokens. All bonus tokens will be credited to your account after the referral’s transaction. Bonus coins will be available for withdrawal after the end of the token sale. How to get a Referral link? 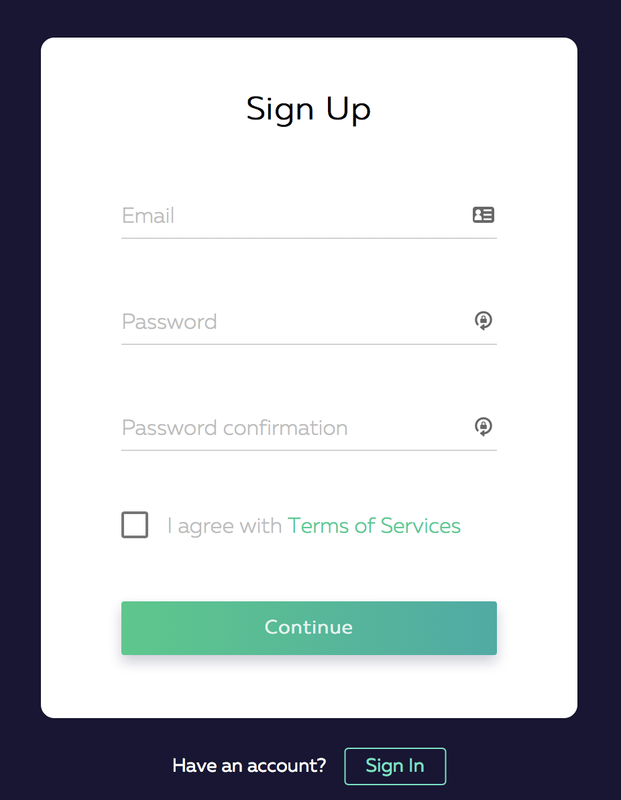 To become part of our Referral Program please sign up on our official website — https://ico.socialmedia.market. Then you will get access to your personal account where you can find your unique referral link. Where to publish your referral link? 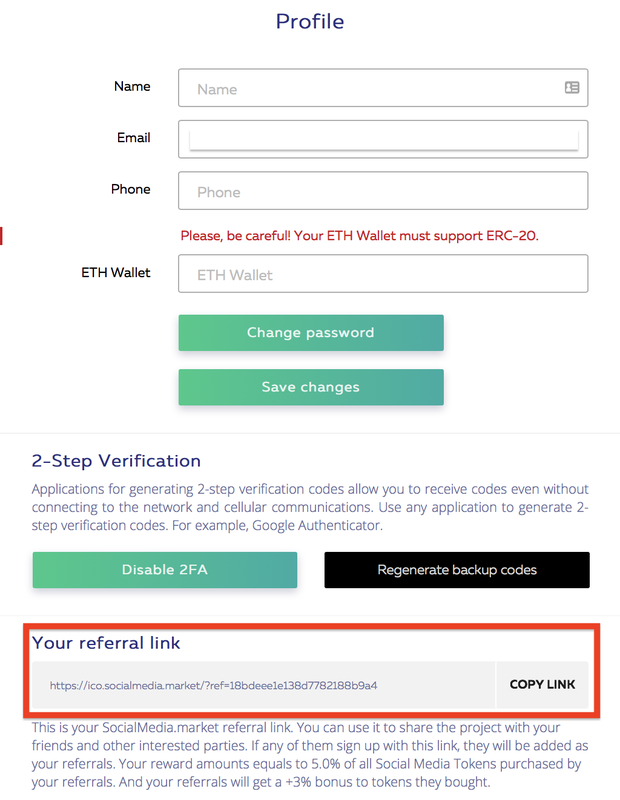 Distribute your referral link on your website, social profiles, forums, telegram groups, youtube channels or any other platform. The SocialMedia.Market referral program will be launched on January, 10 and will remain active up to the end of the second phase of the token sale. Don’t miss the opportunity to become a part of the next generation of online advertising and earn extra SMTs! The first decentralized ecosystem for influencer marketing.